The Caribbean is well-known for its beautiful year-round weather and there are regular flights from the USA or UK. One of the best islands which I would like to suggest today is Barbados. Barbados island is the eastern island of the Caribbean. It is a romantic place to escapade with your love one or family and experience luxury recreations. It has an international airport and is the center for connecting with other Caribbean islands. This Caribbean island is a tropical paradise with beautiful white sandy beaches. It must be the best choice and popular for holiday destination. 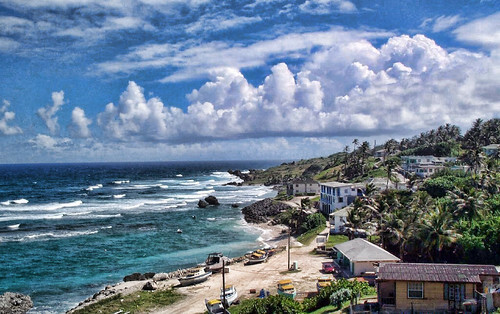 Barbados lies all on its own surrounded by the Caribbean Sea on one side and the Atlantic Ocean on the other. The weather can vary dramatically by season, so it is a good idea for anyone planning a vacation. The accommodation choices are seemingly endless, and include rental properties, bed and breakfasts, family-friendly hotels, all-inclusive resorts and more. If you come with family, there are family-friendly resorts that offer reducing rates for children. Some also provide special children’s activities, so that you can relax and spend time with each other and enjoy the beach activities, sand and band, knowing that the children are safe and having fun with their activities too.